in personal injury litigation from moderate to major and catastrophic injury cases. Thanks for contacting Shawn steel Law Firm. litigation costs out of pocket. There is no pressure. Just explanations. Then you can make an informed decision. Family with new baby & passenger were forced off E/Bound I-10 near Palm Springs. Defendant driver continued speeding but was followed by CHP Helicopter and arrested near the Arizona border. Losses included wrongful death of baby and passenger. Defendant denied being involved, the Riverside District Attorney dropped criminal charges. After months of active litigation, Defendant offered policy limits. Woman rear-ended by three-axle truck and trailer on 405 freeway, injuries to neck, back, elbow, hip, wrist, disc protrusion and ruptured disc. After three cervical epidural steroid injections Carol underwent an anterior cervical discectomy and interbody fusion at C4-5 and C5-6. Defendant driver struck 20-year-old bicyclist; left clavicle fracture and lower back injury resulted in two-level lumbar artificial disc replacement surgery. Family of 4, including 2 minors, struck and entrapped by giant falling maple silver tree. 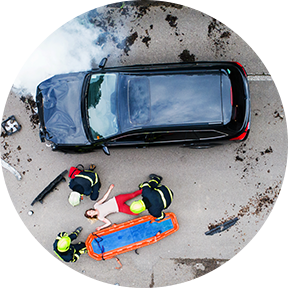 Family collectively suffered from multiple fractures throughout their bodies, traumatic brain injuries, and loss of consciousness. Multiple-Vehicle Freeway Accident—completely deaf driver injured in a 5-vehicle accident; experiencedtwo impacts causing her cochlear implant to dislodge and malfunction permanently. they deserve, we are fully prepared to go to trial and win, and the big insurance companies know it. That’s how we get top-dollar settlements. benefits.We know and work with the highest rated specialists in California. We have connections statewide. Need medical treatment? No insurance? No problem. payment until we win your accident claim. One of the most serious injuries is a traumatic brain injury (TBI), which is a brain dysfunction caused by an outside force, usually a violent blow to the head. It is necessary to care for a TBI victim. A traumatic brain injury takes its toll on the whole family involved, both physically and emotionally, but it is almost like losing that person altogether. The victim could be a parent, spouse, and/or primary earner, which may put a strain on family finances. If the victim had a job or career at the time of the accident, a child might need lifelong care. Because we handle many TBI cases, we are uniquely qualified to handle the stresses that they can cause. 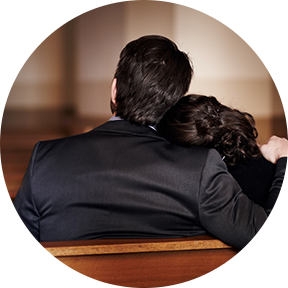 A person who has lost a partner, parent, or child due to a wrongful death might wonder why an attorney could be of use, as the person who has disappeared out of one’s life cannot be returned. However, those family members effected by the loss have rights. Shawn Steel Law Firm has ample experience protecting those rights and recovering for families who have lost loved ones for reasonable funeral and burial expenses, lost income and benefits of the deceases over the estimated length of their life, loss of financial support for the household, loss of services around the household, including cleaning, landscaping, cooking, caring for children, and other everyday tasks and contributions to the family, and loss of intangible support, including love and affection, encouragement, moral support, guidance, attention, and more. assure just compensation for you. We look forward to helping you receive justice.